Bethesda-based real estate investment and operating company Kenwood Management Company (“Kenwood”) and its investment partner, Avanti Capital, have completed the purchase of 8098 Sandpiper Drive in White Marsh, Baltimore County, Maryland. Consisting of 48,000 square feet, the single-story office building is known as McLean Ridge IV. This purchase represents Kenwood’s second acquisition in the Baltimore County market. MacKenzie is pleased to announce that the team of Joe Bradley, Meghan Roy, Matt Mueller, and Henson Ford will be representing Kenwood in the leasing of this building. This team also currently represents Kenwood’s 131,000 square foot Tyler Ridge Portfolio, also located in White Marsh. McLean Ridge IV can accommodate users starting at 1,500 square feet, offering suites ranging in size that have efficient floor plans and individual suite entrances. 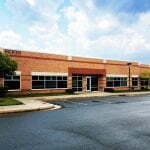 The building is convenient to I-95, I-695, Route 40, and Route 7 (Philadelphia Road) and surrounded by numerous amenities including White Marsh Mall, The Avenue, Notthingham Commons, and much more. The building is also situated across from a proposed mixed-use/residential project site. For more information on McLean Ridge IV, please visit www.mackenziecommercial.com. Leasing inquiries please contact Meghan Roy at 410.494.4846 or mroy@mackenziecommercial.com, or Joe Bradley at 410.494.4892 or jbradley@mackenziecommercial.com. For more information on Kenwood Management, please visit www.kenwoodmgt.com. Founded in 1997, Kenwood has acquired over 1.2 million square feet of office and industrial space and continues to seek quality assets throughout the Baltimore and Washington Metropolitan markets. Kenwood is recognized as a leader in their marketplace, known for providing effective and efficient management services and operating their portfolio with a focused perspective while emphasizing tenant satisfaction. Kenwood’s goal is to grow a long-term, value-oriented portfolio for its investors.